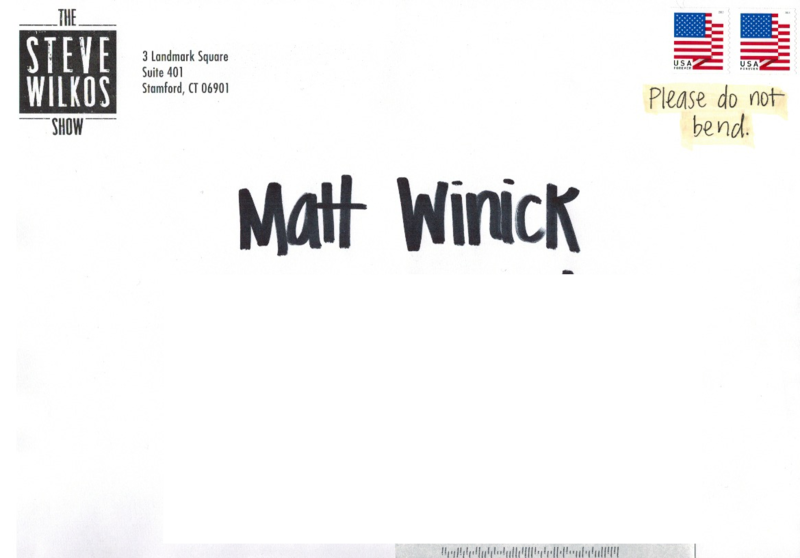 My name is Matt Winick with a strong interest in learning history, and social justice. The reason I like studying these subjects is because I want to understand how there can be different ideas to improve society and understand the need to protect people who are different including victims from being discriminated. Mr. Wilkos, I have been a fan of The Steve Wilkos Show since 2007-present. I like on how you help people who are victims of crime, abuse, drug abuse, and bullying with advices, counseling, and finding out the truth. 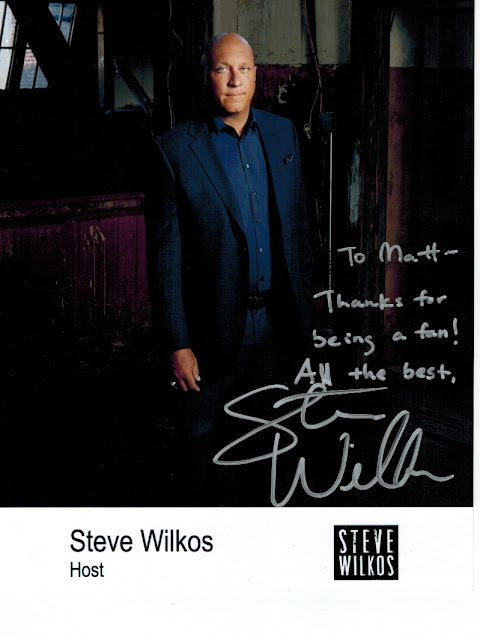 Mr. Wilkos, I enjoy watching the episodes of your show because you do an excellent job helping people. There was an episode that got my attention which was “15 year-old Girl bullied online” on 11/26/14. I watched the episode about how a 15 year-old girl got bullied by other people with them spreading bad rumors about her. In the episode I was touched by how you counseled her with her mother about finding different ways to prevent being bullied like finding good friendships, be careful on online like social network, and getting counseling to help them, taking the time to listen to her story, and having audience share their struggles of being bullied to show that she is not the only one facing problems with giving her advices. Your work on making society better with campaigning against bullying really inspires me to be confident when times are hard or when I have struggles. Besides your work as a TV host, I really like on how you are an activist on supporting Civil Rights including people with disabilities’ rights causes to reduce discrimination, advocate for campaign to combat against bullying, support programs to help victims of crime or victims of domestic violence, and many others. Mr. Wilkos, I have Autism with a learning disability. Having a disability is hard for me because I have trouble comprehending on learning new subjects and I get teased by other people about it. During my school days including present and social network people tease me about my disabilities. It was very hard for me because people would reject me from being part of a group due to having a disability, sometimes people on social network like Facebook people would spread bad rumors about me like making statements which weren’t true, some girls would make fun of me by comparing other boys or people who didn’t have a disability as better people than me, and even I lost friends due to them judging me about having a disability and not having an advance education. However I had gotten help with my disability like when I was a little kid I had a therapist Pam who worked with me on teaching time to help me learn to speak, in schools like elementary school through high school I had a T.A. who worked with me on learning subjects and had a special education program to help accommodate my disability, and at Washtenaw Community College I was able to get an Associates Degree in Liberal Arts with help from Learning Support Services by extending my accommodations like extra time on exams, use a recorder to record lectures to improve my note-taking, and have tutors work with me on different subjects. During my struggles when I get teased I watch your show to help me feel confident by watching on how you give advices with standing up for victims when they don’t get help that they need. Mr. Wilkos, your activism to supporting civil rights including people with disabilities’ rights causes, advocate for victims’ rights including victims of bullying, and your show really inspires me to work hard on my disability and try my best to do well in life when I have struggles. I strongly believe that you are making a great difference for society. I’m very proud on how you are working hard to help people who need help when they face different challenges as tv talk show host of the Steve Wilkos Show. Also I truly appreciate on how you support Civil Rights, people with disabilities’ rights, and social justice causes. Here is $5 for you to use for social justice causes. My letter is a gift to you for inspiring me and to wish you a Happy Birthday for March 9th. Thanks for taking the time to read my letter, working hard to make a great difference, and inspiring me. Please continue to make a great difference.